Recent reports of a massive cyber security breach have shaken up the local banking industry, with the Federal Investigation Agency’s (FIA) cyber-crime chief saying "almost all major Pakistani banks" have been affected. Cyber security experts say details of more than 19,000 debit cards from 22 Pakistani banks have been stolen in the cyber theft, the biggest of its kind to hit the country's banking system. "Analysis of previous incidents suggests that it was linked to the breach," said Group-IB. 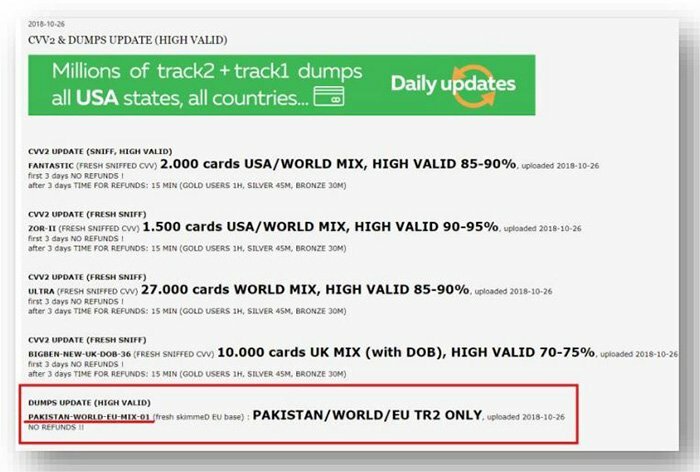 The hackers put up the dump, titled "PAKISTANWORLD-EU-MIX-01" with over 10,467 records, on sale on Jokerstash—a virtual Darkweb hub of stolen card data used by hackers as a distribution point for compromised accounts. The central bank's advisory prompted at least six Pakistani banks to temporarily suspend international cash withdrawal transactions though their debit cards. "It is probable that the cards were compromised before 26.10.2018, and then part of them were used by the cyber-crime group to cash out via the international payments network and other cards were sold to Jokerstash cardshop," Group-IB said. The name chosen by the hackers —"PAKISTANWORLD-EU-MIX-01"—suggested it was only the first part of a larger dump of data, it said. "The second dump did not include cards from Bank Islami, but cards from several other banks were found," Qazi Mohammad Misbahuddin Ahmed, CEO of cyber security firm PakCERT told Geo News. He said the new cards were being sold on the Darknet for $100 to $160. 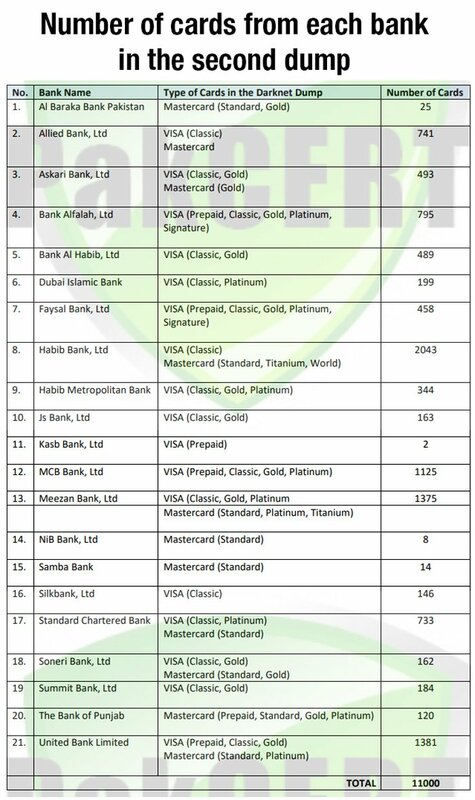 According to PakCERT's Threat Intelligence report, a total of 19,864 debit card details belonging to 22 Pakistani banks are being sold in the dumps circulating on the Darknet. 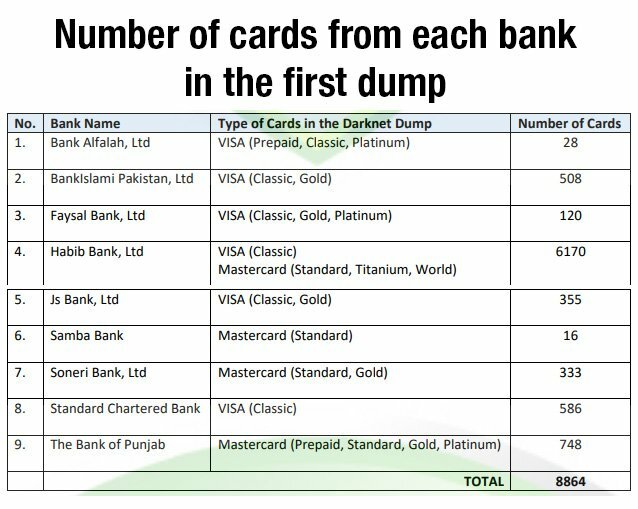 FIA officials have so far only confirmed the existence of the dump, saying it includes card details from "almost all major Pakistani banks". They have so far not released any information as to how the cyber attack took place. 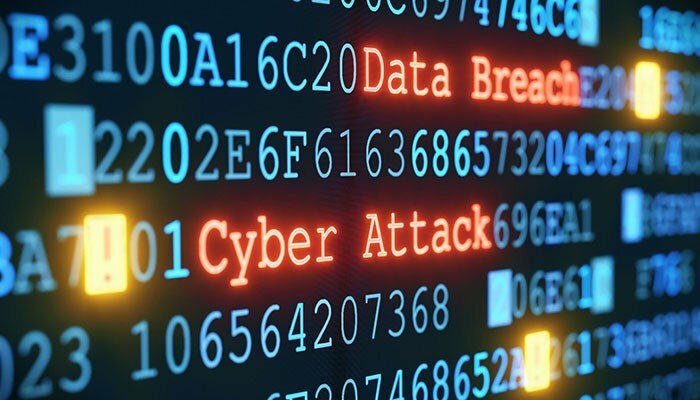 "The data appears to have been acquired through skimming and the hackers have also advertised it as 'skimmed data'," PakCERT CEO Misbahuddin Ahmed told Geo News. He said the large number of banks affected also showed that the "banks were not digitally compromised", ruling out the likelihood of a traditional cyber attack on the banking system's network servers. He said the format allows buyers to physically clone the cards for use at Point of sale locations and ATMs. The SBP's earlier press release, which said compromised cards were cashed out via ATM and POS abroad, also points to the fact that the cards were cloned from 'skimmed data'. When a credit or debit card is swiped through a skimmer—often disguised and installed at ATMs and POS—the device captures and stores the details stored in the card's magnetic stripe of chip. Thieves can then use this stolen data to make fraudulent transactions either online or with a cloned counterfeit card. "The people who initially did the skimming were visitors from outside Pakistan. They used the cards themselves and then put the dumps for sale on the Darkweb". Another possibility was that "the people who skimmed were locals and helped a more advaned group outside Pakistan," it added. 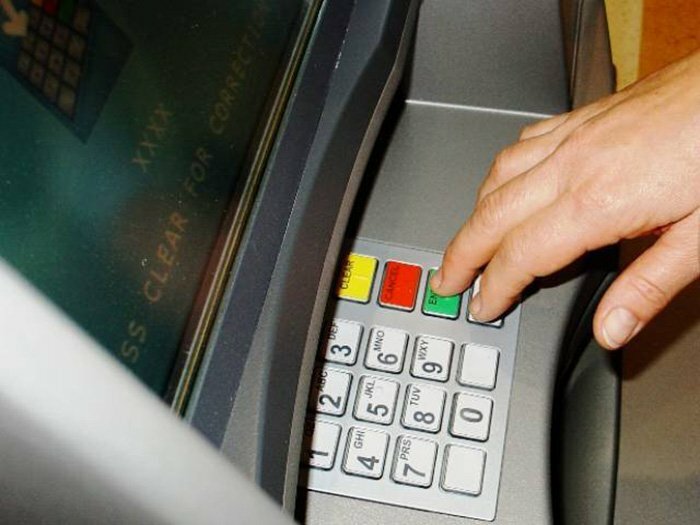 "Not much can be done for the data that has already been leaked," said Misbah, but warned others to be on their guard and ensure they check any ATM or any other POS machine before using them. In a press release on Tuesday evening, Summit Bank said it holds all customer accounts in complete safety and security. "Summit Bank has been operating normally and securely without facing any cyber threats and there has been no online or card data breach," it said, adding that it was vigilant in monitoring its online services and implementing effective security measures.